Please contact us to receive an Executive Summary to learn about the T-shirt Inkjet Revolution / sea-change transition of production methods coming to existing $44 Billion Garment Decoration business which is currently 1% - 2% digital. Experts predict digital shift to achieve 50% to 60% market share within 5 to 8 years. With our engineering and entrepreneurial experience, we feel we can quickly become the market leader. 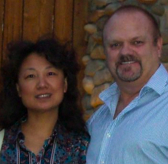 Xiaoli Ma, M3 Masters, Lee Newsom: co-founders. Kevin Lancaster – CIO with 8 years of experience in Software Architecture at LaserMaster / ColorSpan and 10 years as a software development contractor.